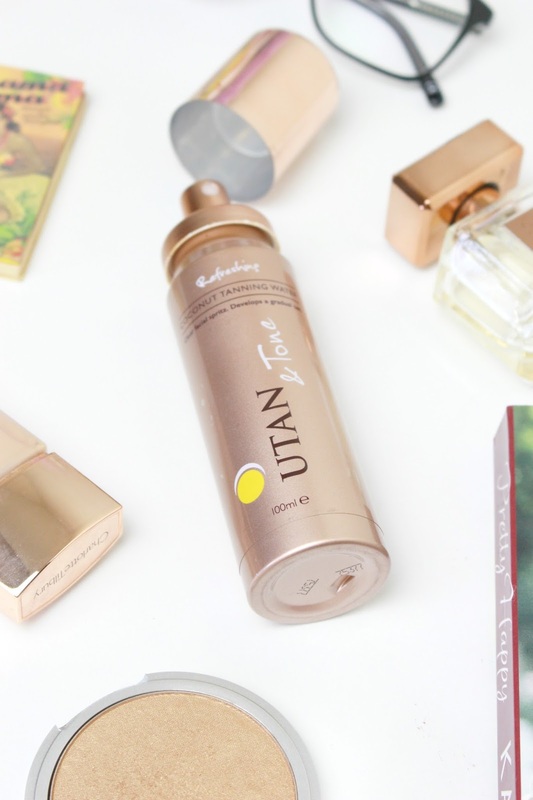 UTan and Tone's Coconut Tanning Water : the fastest and easiest way to tan your face! I cannot be the only person out there who is a total wimp when it comes to using fake tan on my face. I'm good with tan, I like it, I love it, but there's something about wiping the mitt all over my face that makes me ever so nervous. So nervous in fact that I'll let you into a secret.... I hardly ever fake tan my face (unless I'm desperate.). I'll tan up to my neck/chin and then pop on darker foundation when doing my make-up! Tanning mousse is fairly thick, so on my face over night I do worry that it's going to clog my pores and leave me with spots as well as a face that looks like it's been to the sun on holiday. Plus, I use alot of facial scrubs and masks as well as Cleanse & Polish, so tan never seems to last as long on my face as it does my body. 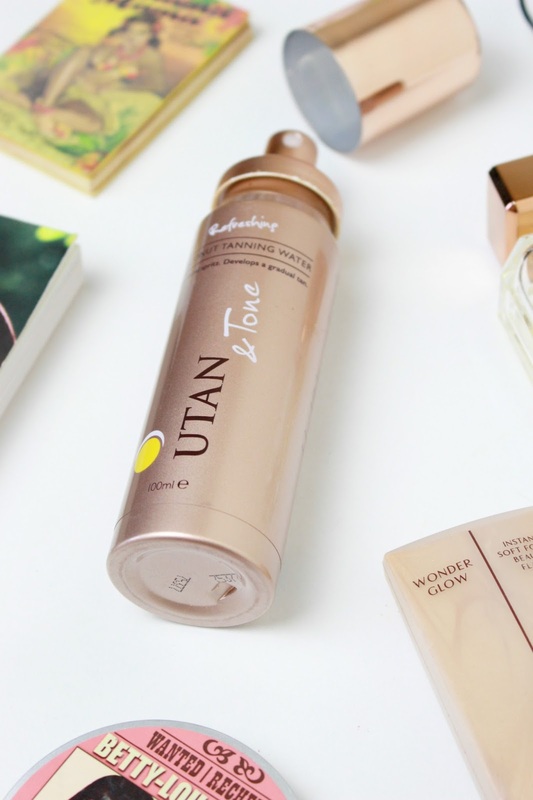 Yes, Utan and Tone have just released what is said to be the 'fastest and easiest way to tan your face!' and I am here for it. Infused with real coconut extracts and vitamins, Aloe Vera and Vitamin E their new Coconut Tanning Water* is not only sweet smelling (yes, no biscuits) but is refreshing, hydrating and an easy way to add a gorgeous glow to your complexion with a few spritz of a bottle any time of day. Saying this though you can actually pop it on both under and on top of your make-up.... I just feel it will work best with a clean face. I've been using this for around a week now and have popped it on around four times and with that, I have to say, I am really starting to see a nice natural difference. My skin is glowing and I look a lot healthier, I have been so pale lately... even with this nice weather!. I am 100% going to continue using this product, having a tan just makes me look and feel so much better about myself and I don't even have to worry about sleeping in a product, it looking patchy or coming off before the rest of my tan as you can build up the colour as and when you like! Top marks from me, a total summer must-have! How do you tan your face? Are you brave and use your usual body tan... or are you a bit of a wimp like me?